Faith No More, which launches drive in 2015, plays on the same night of Slipknot. 'Supergroup' Hollywood Vampires have Cooper, Depp and Joe Perry (Aerosmith). The Rock In Rio announced the shows Faith No More and Hollywood Vampires for the 2015 edition in Brazil in September. The Faith No More plays the same date as Slipknot. The Hollywood Vampires, a band formed by Alice Cooper, Johnny Depp and Joe Perry (Aerosmith), is the night of System of a Down and Queens of the Stone Age. The new "supergroup", with the singer Alice Cooper and Johnny Depp and guitarists Joe Perry, will release an album, according to the advice of Rock in Rio. The album will be released soon, and also has Brian Johnson, lead singer of AC / DC since 1980, and Zak Starkey, former drummer of The Who and Oasis, son of former Beatle Ringo Starr says the advice. See the video side of the Alice Cooper invitation to the show. Johnny Depp, and actor, is known by the raids on guitar, and played with the likes of Marilyn Manson, Oasis, Steven Tyler and Keith Richards. 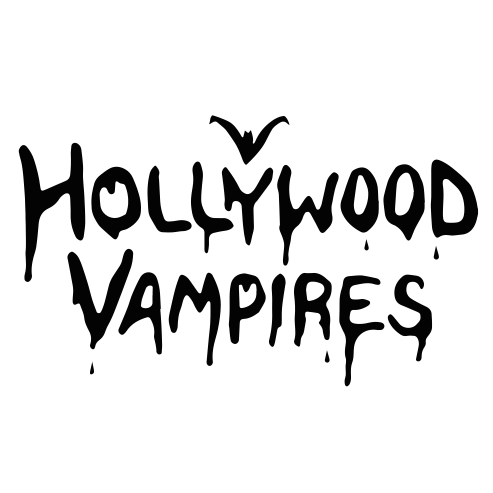 The Hollywood Vampires have the same name as the famous rockstars group that gathered to drink in the 70's Friends that time included Alice Cooper, John Lennon, Keith Moon and others. Brazilian edition of Rock in Rio is confirmed for 18, 19, 20, 24, 25, 26 and 27 September 2015, in the City of Rock in Rio (Athletes Park, at Av. Salvador Allende, no number), in an area with more than 150 thousand square meters. Attractions, besides the two announced for now include Slipknot, Queens of the Stone Age, Katy Perry , A-Ha and System Of A Down, which are listed on the World Stage, and John Legend , already confirmed for the Sunset Stage. There's a video with a message from Alice Cooper in the link. A band? Wow ! The Hollywood Vampires! Thanks for the news. I'm ecstatic.....can't wait to hear their music!!!!!
" why are you talking this way, Mort ?" " it's just the way I talk"
" it don't matter.You won't be scared long"
Two heavyweights stamped their passports for the Rock in Rio Brazil. Faith No More back to the festival after 24 years and Hollywood Vampires , project Alice Cooper, Johnny Depp and Joe Perry , reappears 70 of the World Stage. Think of a group of rock legends at the height of 1970 which had the initiation test take a nice drunk. Alice Cooper , Keith Moon (drummer of The Who ) and John Lennon (yes, the very) were among some of the members. In 2013, Cooper and Johnny Depp (yes, that one) decided to make a tribute to the original vampires and recorded an album with Joe Perry of Aerosmith . Besides them, the line-up of the festival features System of a Down , Queens of the Stone Age , Slipknot, A-ha , John Legend and Katy Perry . Do not forget: festival in September, ticket sales in April. Rio de Janeiro, February 11, 2015 – The organizers of Rock in Rio have just announced that Hollywood Vampires will be playing at the Main Stage of the Brazilian edition of the festival, which takes place at the City of Rock, on September 18, 19, 20, 24, 25, 26 and 27. The band, featuring rock icon Alice Cooper, American Actor, Producer and Musician Johnny Depp and Joe Perry, lead guitarist for Aerosmith will play on the same night as Queens of the Stone Age and System of a Down. Alice Cooper, a pioneer of hard rock with a theatrical touch, began his solo career at the end of the 1970s, with classic albums like “Welcome To My Nightmare”, ”Lace and Whiskey”, “From the Inside” and Constrictor”. A gifted actor, with over 50 films throughout his career, Johnny Depp actually started his career as musician and is a renowned rock enthusiast. His musical ability has already been proven and witnessed by artists including Marylyn Manson, Steven Tyler (Aerosmith) and Keith Richards (Rolling Stones), amongst others. Joe Perry is considered one of the best guitarists of all times by Rolling Stone magazine and he is a Rock n’ Roll hall of Fame and Songwriters Hall of Fame recipient together with his partners in crime Aerosmith. Alice Cooper and Johnny Depp have been partners for a while and now with Joe Perry also on Hollywood Vampires, they will “rock it out “ yet once again. The sixth Brazilian edition of Rock in Rio will be hosted in the City of Rock, in Rio de Janeiro (Parque dos Atletas – Av. Salvador Allende, no number), on an area covering more than 150,000 m2. Initial attractions include Katy Perry, System Of A Down, Queens of the Stone Age and A-Ha, playing on the Main Stage, and John Legend, confirmed for the Sunset Stage. That's pretty awesome! My favorite music by Johnny recently is the two tracks he's on on Ryan Adams' No Shadow single, and Butch Walker's 21+, but Cooper, Perry, and Depp is an awesome line up, and then throw in Ringo Starr's son, who was actually taught by original Hollywood Vampire Keith Moon, on drums... Yea, you could call it a supergroup...! I just hope Alice does most of the singing, and that Brian Johnson only guests on a track or two; never been a big fan of ACDC or their vocalists. jruoss wrote: That's pretty awesome! My favorite music by Johnny recently is the two tracks he's on on Ryan Adams' No Shadow single, and Butch Walker's 21+, but Cooper, Perry, and Depp is an awesome line up, and then throw in Ringo Starr's son, who was actually taught by original Hollywood Vampire Keith Moon, on drums... Yea, you could call it a supergroup...! I totally agree, across the board! I can't wait to see this and hear the music! The world is still the same. It's just less in it. Wow! Thanks! Awesome! Great news!